Homework is given out on a Friday and due in on a Wednesday. Children in Year 6 must read every night and bring their Reading Record in signed every day. Children must practice their spellings and their times tables every night. There are some great revision resources at the bottom of the class page :). Children are expected to wear the School’s Standard P.E. Kit. Plain RED round neck T-shirt with school logo. school from Year 1 – 6. 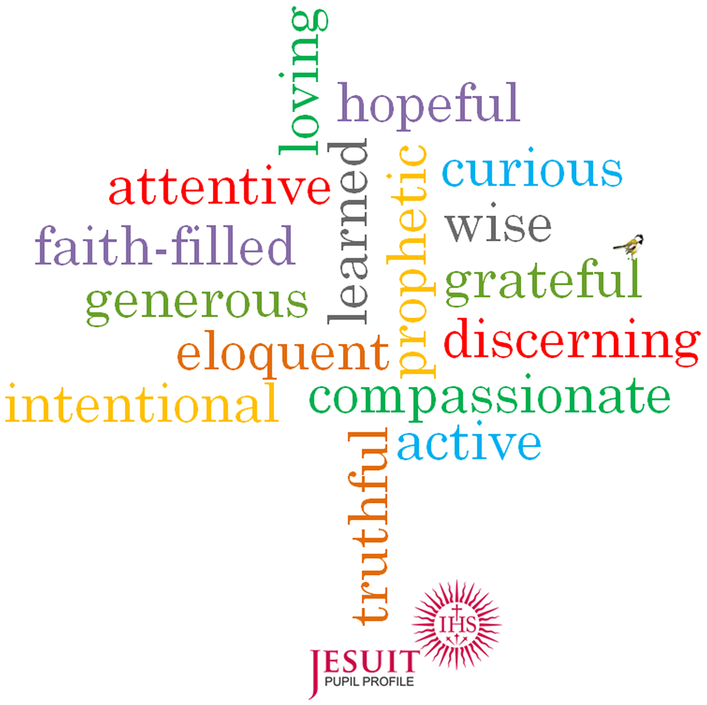 Throughout Year 6, the children will have the opportunity to strengthen their faith, walking with Jesus living out the school virtues which are shown above. Each week a child will be chosen to receive a certificate if they present these virtues.